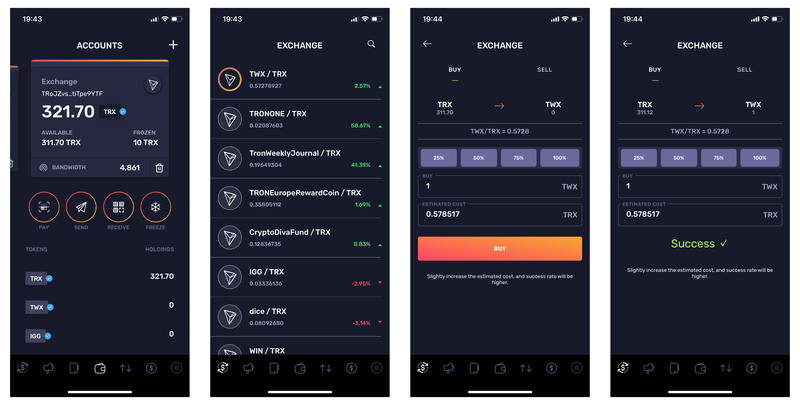 To buy a token from the exchange, first tap the most left icon on your navigation tab to go to the EXCHANGE. Tap on a token that you want to buy. After that you will be taken to a screen where you can enter the value you want to buy. The DEX then calculates the market value based of your input. After you have done this, press BUY. After you have confirmed your PIN, your transaction will be executed. To sell a token from the exchange, first tap the most left icon on your navigation tab to go to the EXCHANGE. Tap on a token that you want to sell. After that you will be taken to a screen where you can enter the value you want to sell. The DEX then calculates the market value based of your input. After you have done this, press SELL. After you have confirmed your PIN, your transaction will be executed. Note: Price change may lead to inaccurate cost estimation when buying a token, and the transaction may fail. For example, the auto-generated estimated cost is 0.55, but the transaction fails when you actually trade based on this price. This is because the estimated cost generated automatically is too low. We need to raise the estimated cost manually to increase the success rate of the transaction. In this case, if we bring the cost from 0.55 to 0.60, the transaction will succeed. Although we spend more money, the system will reimburse you with more tokens automatically based on the extra cost you paid. In the same way, you will come across with similar situation when selling a token. Example: The auto-generated estimated income is 0.55. When you click “SELL”, the transaction may fail. This is because the estimated income is too high. We need to bring it down to 0.50 to help the transaction to fall through. 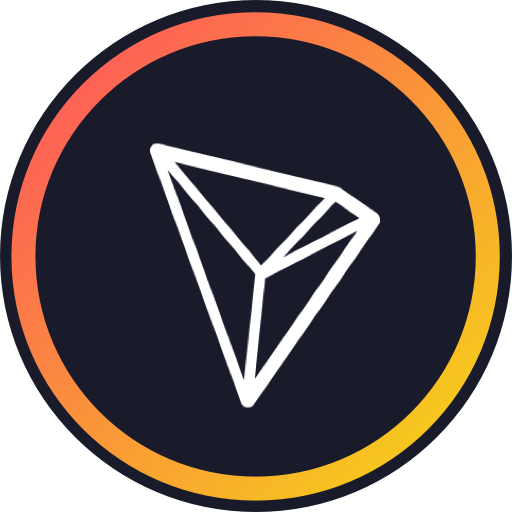 Although the estimated income decreases, the system will reimburse you with more TRX according to the real-time price of a token.